Feng Shui is an ancient Chinese art developed over 3,000 years ago and aims to improve your life by rearranging your home and work space. 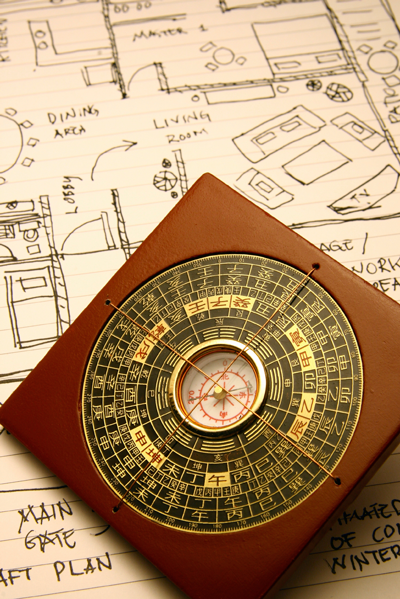 Feng Shui is best described as an environmental psychology. It is a complex body of knowledge that reveals how to balance the energies of any given space to ensure health and good fortune for people inhabiting it. Chinese practitioners believed how a building is oriented, what you have in it, and where you place items, can change the balance and flow of energy through your house and work space. We offer the following types of Feng Shui services: Home consults, business consults, and space clearing / home blessing. Prior to the consult, a questionnaire will be sent to the clients so we can establish your main areas of focus in your home and in your life. At the start of our session, we will do your home numerology and discover your Pa-Kua number, so we can find your best direction and what your home is already doing for you. We determine the Life Aspiration meridians of your home using a floor plan provided to me prior to the consult and from that we will design a Lo Shu square for the property. We begin a tour of your home, starting with the outside and working our way through the home, stopping at each of the 9 Life Aspiration meridians. After we have addressed all the desired areas of your home, we will do a space clearing, which will help move any negative energy out of your home and bring it up to a positive vibration. We will discuss the answers to the questionnaire that was sent prior to the consult to determine your specific needs. At the beginning of our session, we will discuss way-finding and how to create a great first impression to your customers, clients, and employees. We will do a walk through of the exterior and interior of the space, noting its particular-features and analyzing how we can improve the space so it works for you, not against you. We discuss how to use the space to attract more business. Evaluate employee/manager office and desk placement to optimize individual comfort and productivity. We will pinpoint your Life Aspiration areas relating to business, such as wealth, fame, knowledge, and career to help build growth and notability in your company. Finally, we will do a space clearing to move out any negative energy and bring the space up to a positive vibration. After you have had had people over, they can leave their energy in your home. After an argument in your home. If there is a shift in tenants. If you have just moved into the space. When your life feels stuck. After a space clearing is complete, a home blessing is a great way to seal in the positive energy. Please note that for home and business consultations, a general floor plan of the space will be requested to provide the most accurate meridian placement. Please note all information provided to us is held in the utmost regard and is completely confidential. We do not distribute your personal information without explicit permission. Please contact us to learn more about our services. The consultation fee starts at $325.